Posts from Sean Heath on trends, headlines and innovations in the wireless industry. Did you know that your wallet has now gone wireless? An organization, called the Near Field Communications Forum www.nfc-forum.org) is sponsoring the development of wireless applications for consumer purchases. Soon, we will be able to buy bus or train tickets wirelessly, as well as products from specially-designed vending machines, and other consumer goods simply by pressing a few buttons on our cell phones. The following description of near-field communication was quoted from the nfc-forum web site, and provides an interesting overview of this emerging retail trend. "Near Field Communication (NFC) is a new, short-range wireless connectivity technology that evolved from a combination of existing contactless identification and interconnection technologies. Products with built-in NFC will dramatically simplify the way consumer devices interact with one another, helping people speed connections, receive and share information and even make fast and secure payments. Operating at 13.56 MHz and transferring data at up to 424 Kbits/second, NFC provides intuitive, simple, and safe communication between electronic devices. NFC is both a “read” and “write” technology. Communication between two NFC-compatible devices occurs when they are brought within four centimeters of one another: a simple wave or touch can establish an NFC connection, which is then compatible with other known wireless technologies such as Bluetooth or Wi-Fi. The underlying layers of NFC technology follow universally implemented ISO, ECMA, and ETSI standards. Because the transmission range is so short, NFC-enabled transactions are inherently secure. Also, physical proximity of the device to the reader gives users the reassurance of being in control of the process. NFC can be used with a variety of devices, from mobile phones that enable payment or transfer information to digital cameras that send their photos to a TV set with just a touch. The possibilities are endless, and NFC is sure to take the complexities out of today’s increasingly sophisticated consumer devices and make them simpler to use." Already, some Japanese companies are experimenting with this technology. NTT DoCoMo, Japan's largest wireless carrier, possesses approximately 55% of its country's wireless market, and is forming partnerships with opnline credit-card agencies to provide a seamless wireless shopping service for their subscribers. So, in the future, if you want a Coke and you're short of cash, just press the Send button on your cell phone--the remote control for our lives. Sean Heath is a Certified General appraiser based in San Diego. Since 1998, he and his father Thomas D. Heath MAI have specialized in telecommunications assignments. His client list includes the City of San Diego, the County of San Diego, the State of California, the State of Arizona, Department of the Navy, National Park Service, and the Department of Justice, as well as the leading national wireless carriers. 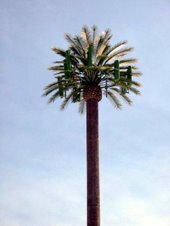 He is also a member of the International Right-of-Way Association, and has given presentations on telecommunications for IRWA’s San Diego chapter. Mr. Heath is currently working on a Master's degree from the University of Denver's Burns School of Business--which is the 8th oldest business school in the country, and is ranked among the very top collegiate real-estate programs worldwide. Mr. Heath also has written numerous articles on telecommunications. His most recent “HOLA Migration: From One To Many” has appeared in the October 2006 issue of AGL Magazine. Mr. Heath can be contacted at (858) 673-1177, or by e-mail at sean@heath-group.com. Chat to my CyberTwin online now!